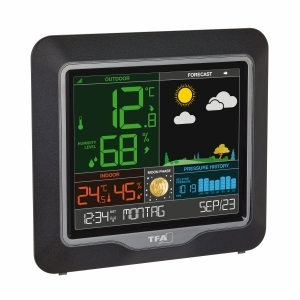 a thermo-hygrometer transmitter for monitoring the outdoor temperature and humidity, a rain gauge that reliably informs you of rainfall, and solar wind meter to determine wind direction and wind force at the installation site. The data is sent to the base station and and shown on the display. 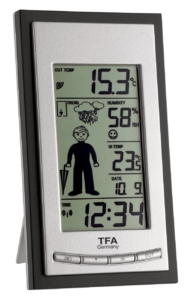 In addition, an integrated electronic barometer measures the air pressure and based on the changes, the weather symbol provides a forecast for the upcoming weather. The current air pressure is displayed as an absolute and relative value, the course of the last 24 hours can be observed on a bar chart and thus make a more accurate picture of the weather. 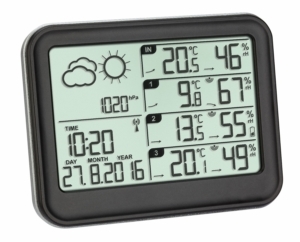 You can also track the outside temperature or humidity on the graph as an option. You also have the indoor temperature and humidity in view and can always keep the room climate within the comfort-level zone with targeted heating and ventilation. 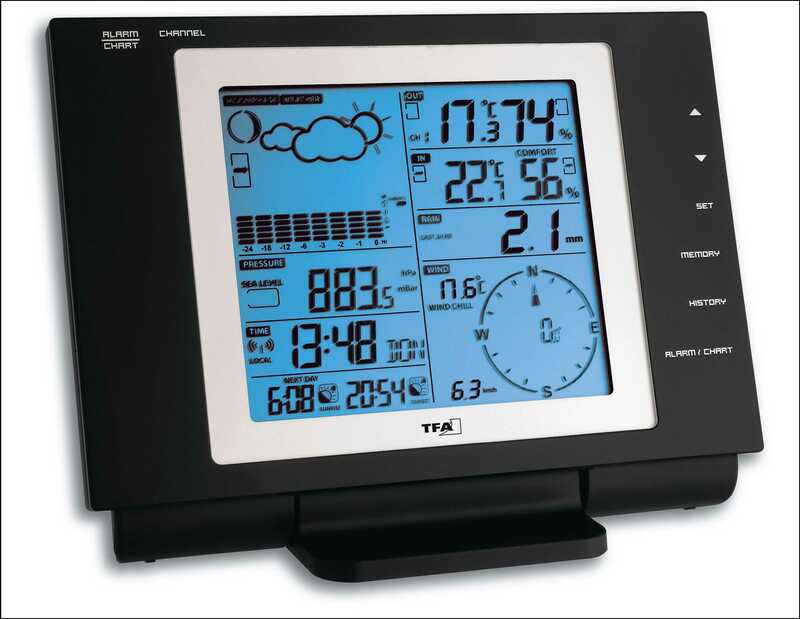 This weather station offers many additional features and information. You can set alarm limits, retrieve stored highest and lowest values, calculate dew point and wind chill temperatures, and see when the sun rises and sets and whether it’s a full moon tonight. 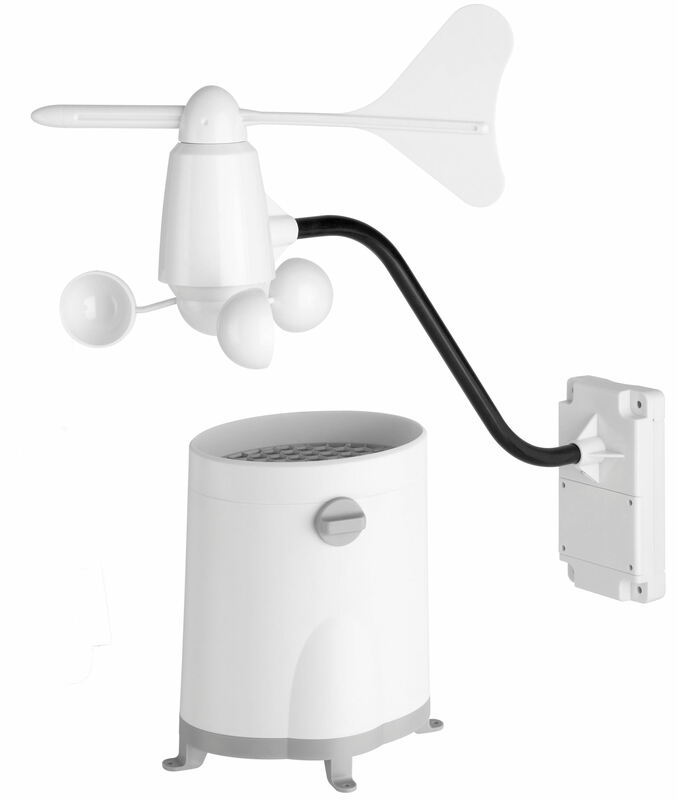 The built-in memory allows you to record 3000 weather data. 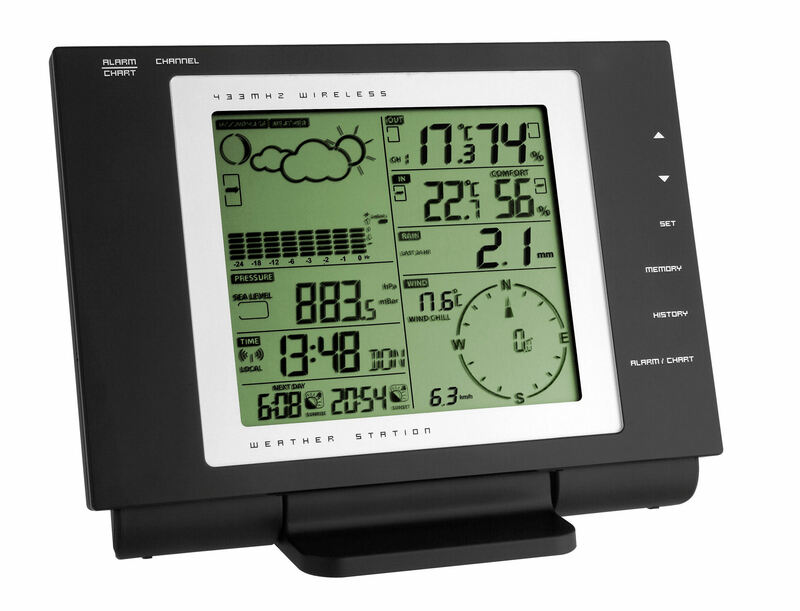 Simply connect the station to your computer via the built-in USB interface and use the free software to evaluate all the weather information from "NEXUS" wireless weather station. The current time and date are received via the DCF-77 radio signal. Different wake-up times for weekdays and weekends always gets you out of bed at the right time. Coupled with the outside temperature, "NEXUS" offers the possibility to be woken up early in the morning if there is a risk of frost, so you can clear the windscreen and get ready for the slow driving. 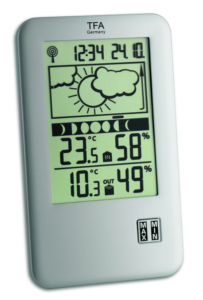 Four further transmitters can be connected to monitor temperature and humidity, e.g. in the nursery, bedroom, basement or garage. You can set the backlight to automatically switch-on when dark. 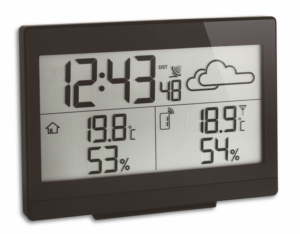 If you prefer a permanently lit display, you must connect the weather station to the power supply. 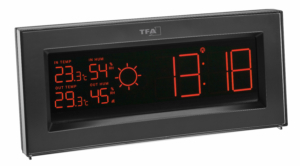 Programmable alarm functions for certain weather conditions like temperature alarm, storm warning, etc.